Plaza also took second place for Downtown Table Games. This means that the Plaza can be your ultimate destination for a great time in Vegas. What Is Best of Las Vegas? 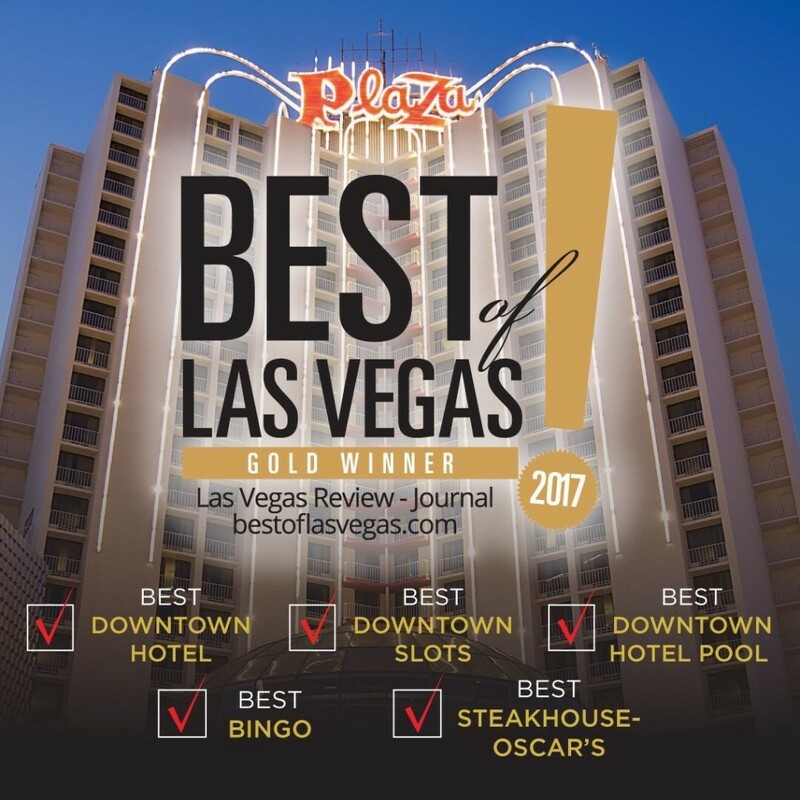 The 2017 Best of Las Vegas, invites, engages and allows their audience to vote for their favorite businesses in multiple categories, 290 to be exact. The winners are decided by locals and tourists in several categories including, things to do, places to go, and more.The Best of Las Vegas relies on their audience to supply them with the name of outstanding businesses and recognizes those winners every year in their annual Best of Las Vegas awards.Winners are announced in Mid-November and all winners are honored in the Las Vegas Review-Journal’s special section publishing the Best of Las Vegas. How to have The Best of Las Vegas in one day? To have a perfect day at The Plaza you can check in and spend some time by our rooftop pool. When you’re done relaxing by the pool you can try your luck at bingo, slots, or one of the many table games. Then go out and explore the Fremont Street Experience and cultural district of downtown Las Vegas. After your adventure, come back and have an excellent dinner at Oscar’s Steakhouse then end the night with a great night’s sleep in one of the many comfortable hotel rooms that The Plaza has to offer.In a city as great as Las Vegas, it’s easy to find many places to have fun and relax. There is no shortage for a good time in the city and you’ll always be able to find something to do, see, eat, or drink. But, why settle for good when you can stay with the best?